At one time or another, we've all overheard people disagreeing about the meaning of a passage in the Bible. Often, these conversations end in a similar way. One person says, "Well, your interpretation is just your opinion." But the other person responds, "No, it's not just my opinion. It's a fact." These remarks reflect one of the most fundamental questions in biblical interpretation: When we read a passage in the Bible and come to a conclusion about what it means, is our conclusion an objective fact, a subjective opinion, or is it something in between? 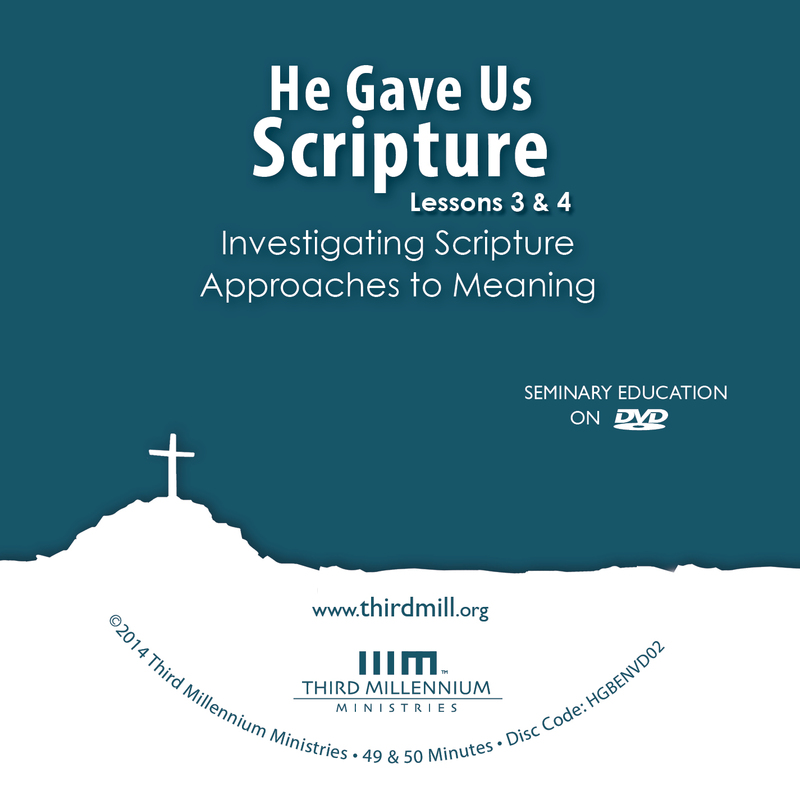 This is the fourth lesson in our series He Gave Us Scripture: Foundations of Interpretation, and we've entitled it "Approaches to Meaning." In this lesson, we'll look at some of the major ways interpreters have identified and described the meaning of Scripture. As we begin to ask questions about the meaning of passages we find in the Bible, it will help to begin by making a basic distinction between objects of knowledge and subjects of knowledge. Objects of knowledge are the things that we try to understand. And these objects can be either abstract, like ideas, or concrete, like people or places. For example, biologists study objects like animals and plants. And musicians study objects like music or musical instruments. By contrast, subjects of knowledge are the people that do the studying. In the field of biology, biologists themselves are the subjects of knowledge. And in the field of music, musicians are the subjects of knowledge. So, when we interpret the Bible, we're the subjects, because we're the ones doing the interpretation. And the object of our study is the Bible, because that's what we're trying to interpret. Now, it's easy to see that human understanding of every sort involves both objects and subjects of knowledge. But how do objects and subjects work together in the pursuit of knowledge? Well, it's often helpful to talk about three major approaches toward the objects and subjects of human knowledge. First, some people tend toward an approach we call objectivism. Objectivists believe that under the right circumstances, it's possible to arrive at impartial or objective knowledge. Second, other people tend toward an approach called subjectivism. Subjectivists believe that our knowledge is always influenced by our personal biases, making impartial objectivity impossible. And third, some people have found a middle ground that we might call dialogism. This approach emphasizes the constant "dialog" or interplay between objective reality and our subjective perspectives. Not surprisingly, all three of these approaches have been used in biblical interpretation. So, as we consider the meaning of Scripture in this lesson, we'll pay attention to each of them as we try to answer the question: Is our understanding of the meaning of a biblical passage objective, subjective or dialogical? In this lesson, we'll focus on each of these three major approaches to meaning. First, we'll consider objective approaches. Second, we'll look at subjective approaches. And third, we'll explore dialogical approaches. Let's begin with objective approaches to the meaning of Scripture. We've all run into people who have opinions about this or that subject, but have no ability whatsoever to support what they believe with objective facts. Of course, the same kind of thing is true when it comes to interpreting the Bible. There is no shortage of opinions on what many biblical passages mean, but the vast majority of people don't even try to base their interpretations on objective facts. They simply assert what they believe a biblical passage means and leave it at that. When we run into this problem frequently enough, it can be very frustrating, and it can cause all of us to yearn for understandings of the Scripture that are at least somewhat objective. Most people would agree that it's relatively easy to understand the basic meaning of this passage. At a minimum, we can say with confidence that it means "God created everything." When objectivists say that Genesis 1:1 means that, "God created everything," they believe that they understand the verse without bias. So, they tend to think that anyone who rejects their interpretation simply disagrees with an obvious fact. Now, why have so many biblical interpreters followed this approach to the meaning of Scripture? And what have been the results of objectivism in biblical hermeneutics? To answer these questions, we'll investigate objective approaches to interpretation by looking in two directions. First, we'll touch on the philosophical and cultural background of these approaches. And second, we'll mention their influence on biblical interpretation. Let's begin by looking at the background of objective approaches to interpretation. Objectivism can be identified with the most prominent current in the stream of modern philosophy — the current we'll call scientific rationalism. Rene Descartes, who lived from 1596 to 1650, is often called the father of modern rationalism because he promoted reason as the supreme judge of truth. From his point of view, things like religion, traditions, beliefs, intuitions and superstitions confuse our thinking and hide objective reality from us. But Descartes insisted that reliance on rigorous logical thinking frees human beings from confusion and enables us to discover objective truth. Scientific rationalism was also affected by developments in the natural sciences. Francis Bacon, who lived from 1561 to 1626, is often called the father of modern science because he applied rational, logical thinking to the study of the physical world. In effect, Bacon promoted the idea that orderly, empirical investigation — what we often call the "scientific method" — restrains human subjectivity, enabling us to gain an objective understanding of the world around us. Scientific rationalism was so influential that nearly every field of study from the seventeenth century through the middle of the twentieth century adopted its perspectives. Even disciplines like religion and theology have been subjected to rational, scientific analysis. Of course, the concepts of rationality and science have changed in a variety of ways over the centuries. But the fundamental assumption of objectivism has remained the same, specifically: by following rational scientific analysis, we can arrive at objective knowledge. In the twentieth century, modern objectivism was taken to the extreme by a broad philosophical outlook known as structuralism. To put it simply, structuralists tried to use rational and scientific objectivity to obtain an exhaustive understanding of everything they studied — including sociology, art, language and literature. Their desire for objectivity in the interpretation of literature was so extreme that structuralists excluded every consideration that introduced any element of subjectivity. The intentions of authors, the needs of the original audiences, and the opinions of modern readers were thought to be too subjective for rational scientific analysis. But structuralists were convinced that rigorous rational analysis could provide them with an objective understanding of the texts they interpreted. Having looked at the philosophical and cultural background of objective approaches to meaning, let's turn our attention to the influence objective approaches have had on biblical interpretation. Rational scientific objectivism has influenced biblical interpretation in two basic ways. First, it has led us to what we might call critical biblical studies. And second, it has also influenced evangelical biblical studies. Critical scholars normally argue that the best way to evaluate the Scriptures is by means of rational investigation, such as those used by science, archaeology and history. Sadly, critical scholars often fail to recognize the limits of these kinds of investigations, so they end up rejecting many of Scripture's claims and teachings. In contrast to critical scholars, evangelicals insist that Scripture is absolutely true and authoritative, and that all scientific findings must ultimately be subject to its teachings. This doesn't mean that we can't learn important things about the Bible from science, archaeology and history. Used rightly and in submission to biblical authority, reason and scientific methods are very useful tools for finding meaning in the Bible. And insights from these disciplines often help us understand those aspects of Scripture that relate scientific, archaeological and historical information. But these disciplines should never be used to reject the claims and teachings of Scripture. Objective approaches to meaning can help us in many ways. They have the benefit of drawing from reason and sound methods of interpretation that can help us interpret the Bible carefully and responsibly. But as valuable as this approach to biblical interpretation may be, we always have to remind ourselves that ultimately only God is objective in his knowledge because nothing is hidden from his sight. As hard as we may try, human beings can never be completely objective, completely unbiased investigators of facts. So, without losing sight of the benefits of objective approaches, we need a broader understanding of what's entailed in discovering the meaning of Scripture. With this understanding of objective approaches to meaning in mind, let's turn our attention to subjective approaches. A new command I give you: Love one another. As I have loved you, so you must love one another. By this all men will know that you are my disciples, if you love one another (John 13:34-35). On one level, Jesus' command is relatively obvious: we're supposed to love each other. But different people have very different ideas of what love is. An objectivist might look through Scripture to find out what love is. But a subjectivist might be more inclined to define love on his own terms, and then to act in accordance with that definition. Our discussion of subjective approaches to meaning will resemble our discussion of objective approaches. First, we'll touch on the philosophical and cultural background of subjective approaches. And second, we'll mention some of their influence on biblical interpretation. Let's begin with the background of subjective approaches to interpretation. Modern subjectivism gained prominence partly in response to the objectivism of the seventeenth and eighteenth century Enlightenment. Philosophers like David Hume, the Scottish skeptic who lived from 1711 to 1776, argued that reason and scientific study can't lead us to objective knowledge about the world. Hume and others believed that our emotions, desires and mental categories always influence our thinking, making impartial objectivity impossible. The German philosopher Immanuel Kant, who lived from 1724 to 1804, also made tremendous contributions to subjective thought. Kant argued that we can't know objective reality as it really is; we can never know a Ding an sich, or "a thing itself." He believed that we only perceive the world as it appears to us, and then process our perceptions through the rational categories or concepts that already exist in our minds. Kant concluded that what we commonly call "knowledge of the world" always involves both our empirical perceptions and our mental conceptualizations. After Hume and Kant, subjective approaches to meaning continued to develop in the nineteenth century through movements like romanticism. The romantics and those that followed them argued that expressive poetry, drama, music and visual arts provide an understanding of reality that can be far superior to rational, scientific discourse. They also insisted that rationalism had a dehumanizing effect because it devalues important human characteristics like intuition and emotion. And so, they insisted that interpreters should rely on their own personal human characteristics when they interpret texts. Subjective approaches to meaning shifted again in the late twentieth century in a movement known as post-structuralism. French theorists Jean-Francois Lyotard, Jacques Derrida, Michel Foucault and a host of others rejected the objectivity of twentieth century structuralism. In fact, many moved so far from objectivism that they rejected all hope for objectivity. They emphasized that objective claims of knowledge can't be trusted because they're far too limited and far too influenced by subjective prejudices, feelings and existing beliefs. Moreover, many post-structuralists agreed with the nineteenth century German philosopher Friedrich Nietzsche, as well as a number of twentieth century existentialists, who said that all claims to knowledge are primarily attempts to impose the prejudices of one person or group onto others. Some of them even extended these ideas to art and literature arguing that even artistic interpretation is a power-play designed to achieve social dominance. In our day, subjectivism has become widespread, especially in the interpretation of art and literature. Subjective interpreters argue that since we can't discover the objective understanding of the world around us, then the meaning of art and literature, including the Bible, must be located within us. So, rather than speaking of objective meaning in art and literature, subjectivists talk about how music, paintings, books and the like are viewed by different cultures, different ethnic groups, different economic classes, different genders, and so on. And they're particularly interested in how these different groups use art and literature in service to their various social agenda. Now that we've surveyed the historical background of subjective approaches to meaning, we're ready to consider their influence on biblical interpretation. Ideally, followers of Christ don't allow the currents of culture surrounding them to influence the way they interpret the Bible. But in reality, none of us can entirely escape the effects of culture on our approach to biblical hermeneutics. In recent decades, hermeneutical subjectivism has moved beyond the confines of academic discussions and has become so common that we run into more and more people who insist that claims of fact are actually no more than personal subjective opinions. And this is especially true in matters of faith and the Bible. For this reason, we all need to become more aware of the ways subjectivism has influenced biblical interpretation in our day. 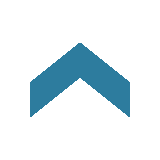 Like rational scientific objectivism, subjectivism has influenced both critical biblical studies and evangelical biblical studies. Critical biblical scholars influenced by subjectivism often argue that no objective meaning can be found in a biblical text. So, instead of teaching their students to discover the original meaning of Scripture, they encourage readers of the Bible to create their own meanings by using the Scriptures to suit their own purposes. Some even argue that this is exactly what the writers of the New Testament did when they interpreted the Old Testament. They believe New Testament writers didn't care about what Old Testament texts meant in an objective sense, and that New Testament authors were mainly concerned with how the Old Testament could be used to promote their Christian beliefs. And critical subjectivist interpreters argue that we should do the same thing — that we shouldn't worry about the objective meaning of Scripture, and that we should use the Bible to promote our own social, political and religious agendas. In contrast to critical biblical studies, evangelical biblical studies have mostly avoided extreme subjective perspectives. At least in principle, evangelicals usually acknowledge that the Bible is God's Word, and therefore that its meaning is determined by God rather than by interpreters. But evangelicals haven't been immune to the negative influence of subjectivism on hermeneutics. They often ask, "What does this text mean to you?" without any thought of the objective meaning of the passage. And preachers and Bible teachers frequently read contemporary interests into Bible passages, without any concern for the historical setting of the text. But despite errors like these, subjectivism has still made valuable contributions to Evangelical biblical hermeneutics. It has rightly pointed out that our cultural and personal backgrounds, skills, abilities, weaknesses and limitations significantly influence our understanding of Scripture. And it's helped us see that just as the Holy Spirit used the subjective outlooks of inspired human authors to write Scripture, he uses our own subjective outlooks to help us understand and apply the meaning of Scripture in our own day. Subjective approaches to meaning can be harmful when they leave us no standard for evaluating different interpretations of the Bible. The simple fact is that some interpretations of Scripture are better than others. But subjective approaches to biblical interpretation can also open our eyes to the ways in which our backgrounds, and personalities, even our intuitions and our emotions often affect our interpretations of Scripture. And recognizing these influences can help us manage them more effectively so that we can interpret the Bible more responsibly. Now that we've explored objective and subjective approaches to meaning, let's turn our attention to dialogical approaches. At one time or another, we've all met people who have such strong opinions about something that they insist that everyone must completely agree with them. Now, many times we just go along with them to keep the peace. But at other times the issue at hand is so important that we insist on talking more about it. In a good conversation like this, both people will do their best to express themselves clearly and to listen to each other carefully. And hopefully, as the conversation continues, some measure of consensus will emerge. Well, in recent decades, this kind of conversation or dialog has become a model for interpreting all literature, including the Bible. Open my eyes that I may see wonderful things in your law (Psalm 119:18). In this psalm, the Psalmist was talking about the way that he regularly mediated on Scripture. And he expressed a fundamentally dialogical view of interpretation. First, he believed that objective meaning could be found in the law. But at the same time, he realized that he needed a subjective, eye-opening experience in order to understand the law rightly. The Psalmist wasn't asking God to eliminate his subjective influences, but to improve his subjective perspective by increasing his insight. And as the broader context of this verse shows us, the Psalmist kept returning to the text of the law in order to improve his understanding; he maintained a dialog with Scripture that continually improved his grasp of its meaning. Our exploration of dialogical approaches to meaning will begin in the same way as our consideration of the objective and subjective approaches. First, we'll look at the philosophical and cultural background of dialogical models. And second, we'll consider their influence on biblical hermeneutics. But then we'll go a step further by offering a comparison between the objective and subjective approaches on the one hand and a biblical understanding of the dialogical approach on the other hand. Let's begin by looking at the background of dialogical approaches. In the field of philosophical hermeneutics, the dialogical nature of interpretation was emphasized by the German philosopher, theologian and linguist Friedrich Schleiermacher, who lived from 1768 to 1834. He offered a well-known model of interpretation called the "hermeneutical circle," by which interpreters attempt to understand texts or other complex objects. The circle begins when we encounter an object and initially process it in our minds. Then we return over and over to encounter more of the object and to process more understanding. Schleiermacher's hermeneutical circle has often been described by others as a hermeneutical spiral, a circular movement between interpreters and their objects of study that progressively moves toward greater and greater understanding. Dialogical models have also emerged in science. Twentieth-century philosophers of science like Thomas Kuhn, who lived from 1922 to 1996, have argued that scientific knowledge results from interactions between objective reality and the paradigms of understanding that we bring to scientific investigation. The basic concept of a paradigm is that all our beliefs are interrelated. They fit together in a complex structure, each one reinforcing and influencing the others. As long as a new belief doesn't challenge our paradigm, it's easy for us to adopt it. But we resist new beliefs that threaten the structure of our paradigm. Even so, when the evidence contradicting our paradigms is sufficient, it can compel us to change — sometimes in revolutionary ways that cause us to rethink everything we thought we knew. But regardless of the degree of change, a sort of dialog is always taking place between our mental paradigms and our experience of objective reality, constantly causing us to reevaluate each of our beliefs in light of the others. Perhaps the most influential dialogical model for hermeneutics in the twentieth century was that of Hans-Georg Gadamer, who lived from 1900 to 2002. Gadamer spoke of meaning in science, philosophy, theology, art and literature in terms of the fusion of two horizons. In Gadamer's thinking, a horizon was everything that could be seen or understood from a particular point of view.  In the case of hermeneutics, one horizon would be that of the text. Its horizon would include all the perspectives expressed in the text, and the legitimate conclusions that could be drawn from those perspectives. Another horizon would be that of the readers. This horizon would include all their perspectives, beliefs, feelings, prejudices, and so on. And these horizons would fuse when the readers began to incorporate aspects of the text's horizon into their own horizon. As the readers learned from the text, or adopted viewpoints of the text, their own horizon would expand to include new elements from the horizon of the text. Now that we've looked at the background of dialogical models, let's turn our attention to their influence on biblical hermeneutics. For our purposes at this point, we'll focus our discussion on some of the ways that evangelicals have used dialogical approaches to meaning to enhance their interpretations of Scripture. Specifically, evangelicals have emphasized that reading the Bible is different from having a dialog with a normal book because, unlike other books, the Bible has absolute authority over us. For this reason, we'll speak of evangelical approaches to these matters as authority-dialogs. During a normal day, most of us have conversations with different kinds of people. And these conversations take different directions depending on who's involved. When we're talking casually with our friends about something we all understand, we relate to each other as equals. The conversation goes back and forth, and we all try to listen and we all try to respect each other's outlooks. But when we dialog about important matters, like our health or raising children, and we do this with someone who has far more knowledge and expertise than we do, we're wise to approach the conversation differently. Although we know that experts make mistakes, we do our best to listen to them carefully. But now, imagine that you're having a conversation with someone you know never makes mistakes, someone who's always right. You'll certainly come to that conversation with your questions and opinions, but you'll do all you can to understand and accept everything that person says to you. Well, in many ways, that's how it is with interpreting the Bible. We can't escape coming to the Bible with our questions and our opinions, but because the Bible is infallible, because it's always right, we do everything we can to understand and accept everything it tells us. Interpreting the Bible is like having a dialog with the most authoritative figure we can imagine, God himself. It's a dialog because it involves a type of conversational "give and take" between readers and the Scriptures. On the reader's side of the dialog, we all come to the Bible with many questions, preconceptions, cultural backgrounds and personal experiences. And each of these things influences what we understand from the Bible. On Scripture's side of the dialog, God continually speaks to us through his Word, sometimes confirming what we believe, sometimes correcting it. When we submit to the Bible's authority, we expect to receive wisdom, instruction, and encouragement from it. We trust that the Spirit can, at his discretion, illumine us more and more to the actual meaning of Scripture, and enable us to apply it more faithfully to our lives. So, the more we read and interpret the Bible responsibly, the more we can expect our understanding to be correct — and the more our gifts can be strengthened, our thinking challenged, our cultural backgrounds evaluated and our personal experiences transformed. Now that we've considered the background of dialogical models and their influence on biblical hermeneutics, let's look at a comparison of the dialogical approach to meaning with objective and subjective approaches. Objective and subjective approaches to meaning oppose each other in some fundamental ways, but they have something very important in common. In the extremes, both models ultimately make the authority of interpreters equal to or even greater than the authority of the Bible itself. Objectivism tends to overestimate how reliable our rational and scientifically objective views are. Subjectivism tends to overestimate how reliable our personal intuitions and opinions are. But in both cases the result is the same: We sit in judgment over Scripture. So, even though these approaches offer some helpful insights, a dialogical model helps us deal more adequately with our own weaknesses and with the divine authority of the Bible. In this lesson, we're concerned primarily with evangelical authority-dialog approaches to meaning rather than with dialogical approaches as a whole. So, our comparison will focus first on authority-dialog and objective models, and second on authority-dialog and subjective models. Let's begin with authority-dialog and objective approaches. Do your best to present yourself to God as one approved, a workman who does not need to be ashamed and who correctly handles the word of truth (2 Timothy 2:15). Here, Paul indicated that there's a correct way to handle the word of truth. And significantly, he compared this correct way to the labors of a workman. His point was that reading the Bible requires careful study and responsible methodology. These methods aren't sufficient in and of themselves. But they're still an important part of responsible interpretation. While an authority-dialog model shares these wholesome outlooks with hermeneutical objectivism, it also avoids some serious dangers associated with objectivist extremes. It helps us avoid the danger of thinking that any of us can be utterly objective when we approach the Scriptures. And more than this, an authority-dialog approach helps us remember that rational and scientific judgments must always be viewed in submission to the authority of Scripture. Having seen how an authority-dialog approach compares to objective models, let's turn to our comparison between authority-dialog and subjective models. Just as an authority-dialog model resembles objective models in some ways, it also has similarities with subjective models. It acknowledges that we all come to the Scriptures with perspectives and beliefs that influence the way we interpret biblical passages. Moreover, it agrees with Scripture and subjectivism that the personal, subjective input we bring to interpretation is valuable. Oh, how I love your law! I meditate on it all day long (Psalm 119:97). In this verse, the Psalmist indicated that his personal love for God's law impacted his study and understanding of Scripture. And he wrote about meditating on Scripture — a subjective practice that isn't part of a rigorous methodology — indicating that he personally reflected on the Bible's words and perhaps even waited on the Holy Spirit to illumine him. He writes the same way in all his letters, speaking in them of these matters. His letters contain some things that are hard to understand, which ignorant and unstable people distort, as they do the other Scriptures, to their own destruction (2 Peter 3:16). Peter admitted that some things in Paul's letters were "hard to understand." But he also said that some readers fail to work through these difficulties because of ignorance and spiritual instability. And as a result of these subjective failures, they read without submission, and distort the meaning of Paul's writings. As our authority-dialog model indicates, investigating the Bible is a lifelong process in which Scripture changes us and causes us to grow and mature in our Christian faith. As we mature — assuming we use biblical methods of interpretation in responsible ways — the authority-dialog model will increasingly enhance our understanding of the objective meaning of the Bible. This, in turn, causes further personal, subjective growth, and the process continues. In this way, our dialog with the Bible can be thought of as a spiral that repeatedly circles between the authoritative text and the reader. The goal of our involvement in this spiral is to move closer and closer to the meaning of biblical texts. If all goes well, the more turns this spiral makes, the tighter it becomes, closing in on the true meaning of Scripture. And what makes this dialog successful? As we've noted, it certainly requires hard work from us. But our efforts are useless unless the Holy Spirit of God moves us toward greater understanding and application of the Scriptures. Because of the Spirit's work, we can hope that when we sincerely submit ourselves to him and his Word, our ability to interpret the Bible will increase. In this lesson, we've surveyed a variety of approaches to meaning that interpreters have taken throughout the centuries. We've looked at objective approaches that tend to locate meaning solely within the Scriptures themselves, subjective approaches that tend to locate the meaning of Scripture in the viewpoints of its readers, and dialogical approaches — especially the authority-dialog approach, which says that readers access meaning through their interactions with the authoritative biblical texts. At one time or another, we've all met people who go to the extremes of objectivism and subjectivism. Neither of these approaches is adequate for understanding and applying the Scriptures. We must always keep in mind that our flawed, subjective viewpoints constantly influence our understanding of what the Bible means. But at the same time, we must always strive in good faith to listen and to submit ourselves to what the Bible means. As the Holy Spirit blesses our attempts to engage the Scripture in this kind of authority-dialog, we'll be able to move forward toward better and more responsible interpretations of the Bible. Dr. P.J. Buys is Associate International Director of the World Reformed Fellowship and Adjunct Professor of Missiology Research at Northwest University in Potchesfstroom, South Africa. Dr. Gary Cockerill is Professor of New Testament and Biblical Theology at Wesley Biblical Seminary. Dr. Philip Ryken is President of Wheaton College.